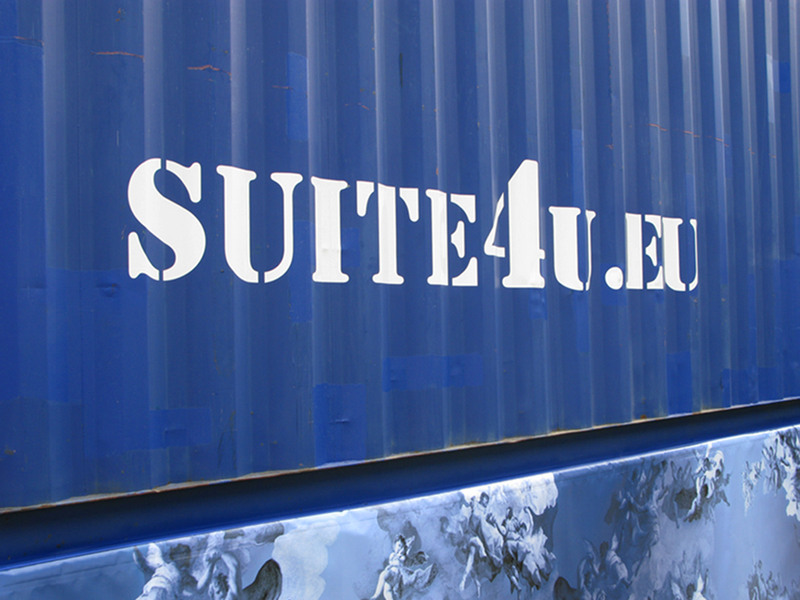 The task of the design team was to develop a concept for the reuse of shipping containers. The space modules can be transported from site to site and placed in different compsoitions as well as stacked on top of each other. The front ends of the containers are removed and facade elements installed. The concept is that the outer skin has a protective effect, the inner skin a warming, cooling and storing function, multifunctional furniture is to take over the " supply " side. In order to achieve an even and thin insulation with maximum possible efficiency vacuum panels of 3 cm thickness are applied to the outside and polystyrene plates with the same insulation thickness and lower insulation value to the internal wall. In addition, the outer joints are insulated and the glass surfaces used are reduced. The facade provides sufficent natural lighting and ventilation. It is made of high quality double glazing with an operable wing, the frames are thermal bridge-free and external sun protection is provided. Active ceiling systems are used for radiant heating and cooling for comfort. Because of the low height of the space phase change material is used as latent heat storage. The suite has a sustainable flooring with an integrated elastic layer for sound reduction. With this concept, maximum comfort is achieved with minimal resource consumption, while the energy consumption is 40 % lower than the energy-saving target in Germany (EnEV).